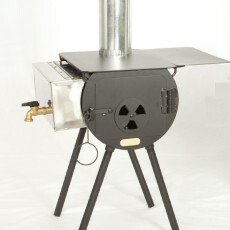 The Outfitter Cylinder Stove is the Camp Cook’s Favorite. Perfect for Base Camp and extra cold conditions. (All pricing includes shipping – continental US). This stove is 28″ L x 16″ W x 13″ H, 23″ Tall with Legs, Volume 2.5 cu. 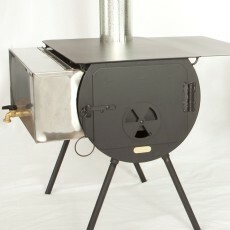 ft., 5″ Stovepipe Hole, For Tents 14′ x 16′ to 16′ x 20′, and it Holds heat for 10-11 hours.